With the Central Bank of Nigeria, CBN announcing a stiffer punishment to any Nigerian citizen or foreigner living in the country found abusing the Naira note, one would wonder; what really amounts to the abuse of Naira note! 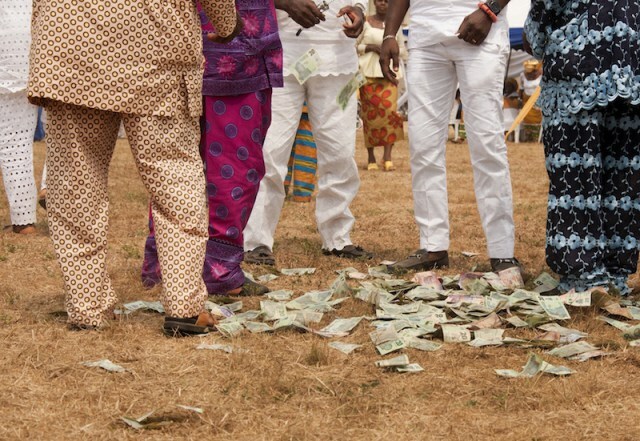 The Central Bank of Nigeria on Friday warned Nigerians against abusing the naira notes. The apex bank said anyone caught abusing the naira would be prosecuted and if convicted the person risked six months in jail or a fine of N50,000. Shuaibu said the abuse of the naira was not in line with the CBN’s policy, adding that offenders would henceforth be arrested and prosecuted. According to him, the awareness programme was also aimed at sensitizing the public on online transfer system, how to identify fake currency notes, how to approach the CBN for complaints, amongst others. He also urged Nigerians to desist from keeping money at home, adding that such money could be gutted by fire or carted away by criminals. Also speaking, the bank’s Head of Development Financial Department, Mr. Chukwudum Nzelu, stated that the Anchor Borrowers Programme of the apex bank had led to an increase in the local production of rice from 30 to 70 per cent. Nzelu added that the CBN was also designing other agricultural programmes that would engage thousands of the Nigerian youths in meaningful agricultural ventures that would make them self-reliant. The Branch Controller of CBN in Calabar, Dr. Graham Kalio, urged the general public to always visit any CBN branch close to them for complaints.